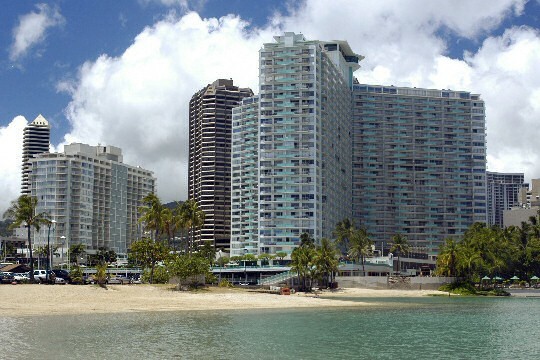 Built in 1964, The Ilikai was a top notch Waikiki hotel. It's an icon of earlier times. 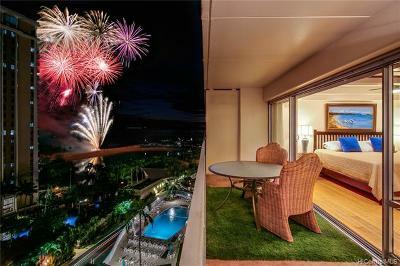 Fans of the TV show Hawaii Five-0 will recall Jack Lord standing at a penthouse lanai at the Ilikai during the opening of the show. The Ilikai was developed by Chinn Ho beginning in 1961 and its doors opened in 1964. 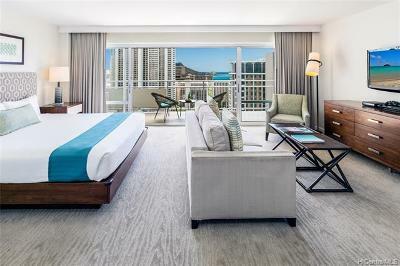 The Ilikai has undergone several renovations and remains a favorite with Hawaii visitors. 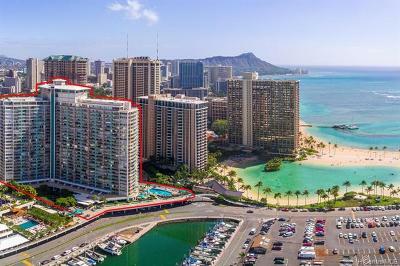 The Ilikai is 30 stories tall and has 1,025 units total. There are 843 one-bedroom units, 152 two-bedrooms, 14 penthouses and 16 commercial spaces. The building is shaped like a "Y" with three distinct towers. Condos are a mix of short term vacation rentals, long term rentals and owner occupants. 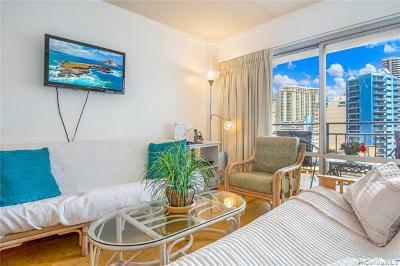 The one-bedroom units feature lanais with approximately 120 square feet of space to enjoy Hawaii's sunny weather. 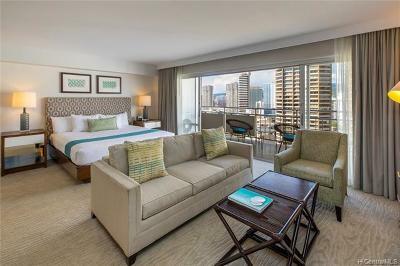 Two-bedroom units have 240 square foot lanais, twice as much area as the one-bedrooms. 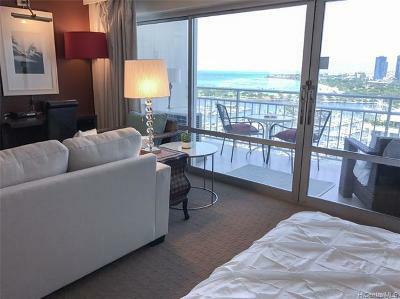 Amenities at the Ilikai Apartment Building include a swimming pool, tennis courts, fitness and recreation centers, along with several meeting rooms. Eight elevators serve the Ilikai. There's also a community laundry within the building. 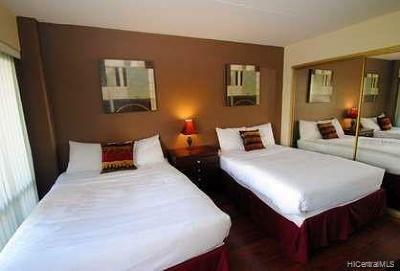 Units for sale do not include parking spaces, however owners and guests can rent parking stalls. There is some street parking available too. 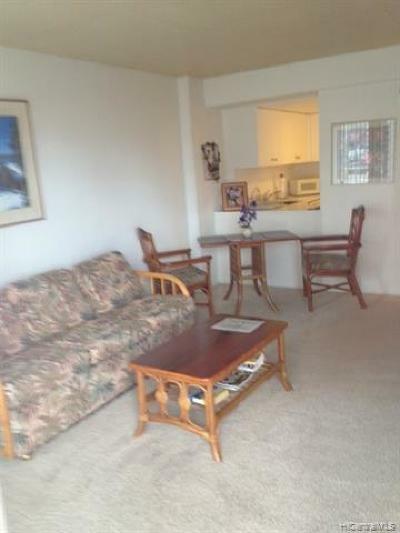 The Ilikai Apartment Building is a legal vacation rental property! 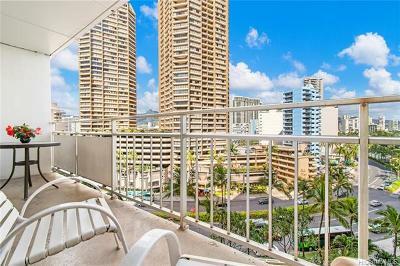 Guests love the property, it's a good location and there are some great views of Waikiki and Diamond Head. View the Ilikai House Rules here. 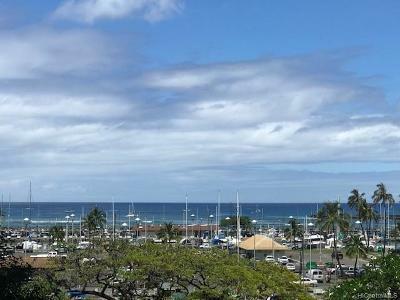 In Hawaiian, Ilikai means surface of the sea.